I have learn how to make good cake recipes. They are my all time favorite desserts to make. That is why my first cookbook was "My Most Favorite Chocolate Cakes". In no other department of cooking is a scale of more importance than in fine baking. It has been the ceremonial food of all ages and in most countries. It is my favorite because of the wide variety to choose from delicious cheesecake recipes to wonderful layer recipes. Many flavors and textures break down from this group of cakes. All of these recipes can be served in many beautiful presentations. Ever cook hopes to learn how to make the perfect cake. Today this is entirely possible by using standard measuring equipment and quality ingredients. So many tried and proven recipes are available with step by step instructions. Recognizing certain ingredients in a recipe helps you to recognize a good recipe. I always look for ingredients like buttermilk, sour cream and cream cheese; these add to the moistness of a cake. Learn how to make this good cake recipe. It is for a very simple moist and delicious cake. You can use all purpose flour and regular granulated sugar. Prepare 8x12 or 9x13 inch cake pan with grease and lightly flour. Combine the oil, sugar, eggs, buttermilk and eggs together. Beat well until creamy. Sift together all the dry ingredients and add to the oil-sugar mixture and beat. Beat in the prunes. Pour into a prepared pan and bake for 50 minutes or until pick comes out clean. Combine all four ingredients in a saucepan, stir and cook until boiling. Remove from heat and cool for a few minutes. Poke holes in top of cake with a toothpick. Standard measuring equipment for cake recipes consists of a standard measuring cup; one containing 8 fluid ounces and marked off to read ¼, 1/3, ½, 2/3 and ¾. A set of 4 measuring cups should consist of ¼ cup, ½ cup, ¾ cup and 1 cup for dry measuring. You will also need a set of measuring spoons; 1 tablespoon, 1 teaspoon, ½ teaspoon and ¼ teaspoon. Using high quality ingredients for cake recipes and having the ingredients at room temperature will help to produce perfect products. The shortening makes a cake tender. I always prefer butter over margarine; the flavor is much better. For a white cake when I do not want the yellow butter, I will use a good quality solid white shortening. Most cake recipes call for granulated sugar. Coarse sugar makes a coarse textured cake so fine sugar is better. A good quality granulated sugar is fine enough for most cakes and is what I use. Occasionally here in the US you will find a recipe that calls for castor sugar. Castor sugar is a very fine sugar in Britain. I discussed this with my British friend, Anita, who is a very good cook. Anita said just put granulated sugar in the blender for a few seconds and you can have the same thing. The different flour used in cake making alters the texture of the cake. I use a good quality sifted all purpose flour in most of my recipes which is good in a heavier moist cake. For extra light more tender cakes use a cake flour, which is made from a soft winter wheat. The following cake recipe is a good one for wedding or birthday cakes. Cover it with your choice of frosting recipes and decorate if for a special occasion. Grease and lightly flour 3 nine inch layer cake pans. Sift flour, baking powder and salt together. Cream the shortening with the sugar and vanilla until fluffy. Add the dry ingredients and the milk alternately to the cream mixture, beating well after each addition. Beat the egg whites until stiff but not dry. Fold the whites into the batter and pour equally into prepared pans. Bake for 30 minutes or until pick comes out clean. 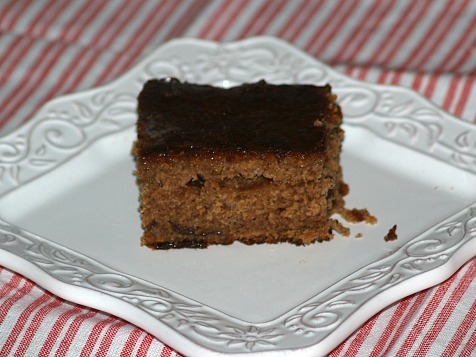 Black walnuts add great flavor to many cake recipes; try the following recipe. Grease and flour a bundt cake baking pan. Combine the cake mix, pudding mix, eggs. water, orange juice, salad oil, vanilla and ¾ cup black walnuts in a large bowl; beat on medium speed for 4 minutes. 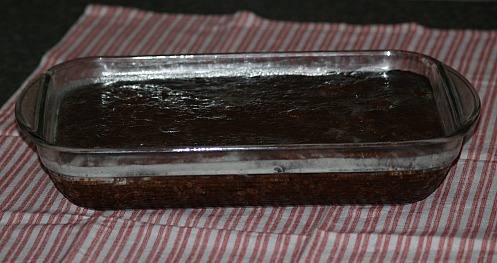 Pour batter into prepared cake pan; bake for 60 to 65 minutes or until pick comes out clean. Cool for 10 minutes and then remove cake from pan onto a cake plate. Combine and mix sugar, butter, vanilla and enough milk or cream to make spreadable icing. Sprinkle ¼ cup black walnuts over cake.